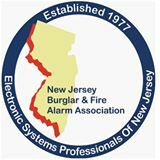 Established in 1987, Franklin Alarm Company Inc. (FACI) is one of the largest system integrators in the South Jersey / Philadelphia area. FACI is uniquely qualified to handle 100% of your electronic security, fire, card access, and CCTV systems needs. Today’s fire and security system design and installation requires adherence to standards set forth in the National Electrical Code, as established by the National Fire Protection Association. Our fire and security systems engineers and installers are National Institute for Certification in Engineering Technologies (NICET)-certified, and they complete yearly educational requirements. These rigorous standards guarantee that the fire alarm and detection systems designed and installed by Franklin Alarm Company will provide dependable life and property protection. We are licensed in the State of New Jersey and in the city of Philadelphia. We are committed to providing prompt service and quality products, with highest workmanship and fair pricing. We provide alarm installation and service in Philadelphia, Bucks County, Central Jersey and South Jersey. Our staff travels to your location in a fleet of fully-stocked company vehicles. Owner Joseph C. Petsch Jr. is an Engineered Fire Alarm Specialist with over 50 years experience in system failure analysis, code compliance and building-fire behavior. He has a firefighting background spanning 25 years as Fire Chief and volunteer with the Star Cross Volunteer Fire Co. He uses his security systems design and operation expertise to ensure that all FACI staff keep their skills up-to-date.